Folks, for many years now, I have been writing blogs for everyday people about the dangers of solely relying on prescription medications. Nearly all prescription medications work by poisoning enzymes and blocking receptors in the body. As I stated in my book, Drugs That Don’t Work and Natural Therapies That Do: “You can’t poison a crucial enzyme or block an important receptor for the long-term and expect a good result.” As health care providers, we should be searching for ways to make our patients healthier, not just treating symptoms with prescription drugs that provide no health benefits. Drugs do not always make us healthier, and keep in mind that many commonly prescribed drugs fail most who take them. For example, the standard-of-care when treating a patient for heart disease is to use a statin drug. In fact, nearly one-third of American adults currently take a statin drug. Statin drugs poison an enzyme in the body: HMG CoA reductase. The best of statin studies show that it results in a 1% (primary prevention—preventing a first heart attack) reduction in non-fatal heart attacks if it is taken for at least three years. That means the drug fails 99% of those who take it; they will not experience any benefit from the drug, and they are subjected to the myriad of side effects from taking a statin such as muscle pains, congestive heart failure, brain dysfunction and diabetes. I have written extensively about the failure of statins in my book, The Statin Disaster. How could one-third of Americans be taking a drug that fails 99% who take it? It is interesting to note that Dr. Gotzsche used to work for Big Pharma. I could not agree with Dr. Gotzsche more. 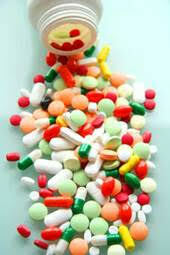 I have written about psychiatric drugs in my book Drugs That Don’t Work and Natural Therapies That Do. These drugs fail to work better than a placebo in most studies and they fail when compared to exercise in every study. Before I continue, I want to make clear that I do prescribe prescription drugs. There is a time and a place for many drugs. If you have pneumonia, I think appropriate antibiotics should be prescribed. However, there are many prescription drugs that should never be prescribed, such as a statin medication, since they fail the vast majority who take them. How did we get to this point? Why are doctors prescribing so many drugs that fail and seriously harm or kill so many? We are at this point because most health care providers simply cannot understand how to critically read a study, nor do they understand much about what true health is and how to optimize it. I do not take pleasure in writing this. I also feel that it is important to state that patients must take control of their own health care decisions. This includes educating themselves about prescribed medications. (1) The interview with Dr. Gotzsche can be heard here.